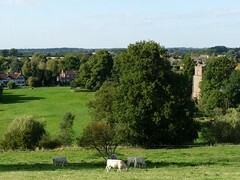 Stoneleigh is a small community of some 500 people, situated on the banks of the River Sowe, close to where it meets the River Avon. 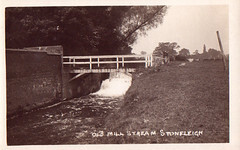 It is steeped in 1000 years of history, but is connected to many major traffic routes. Rennie’s beautiful eight-arched bridge, built in the nineteenth century, is a landmark with which many travellers are familiar. The pretty timbered cottages at the heart of the village have been joined by modern housing, and the old smithy on the village green has now been beautifully refurbished to contain a thriving business. 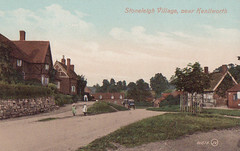 Today the village, proud of its past, continues to evolve alongside local developments such as nearby Stoneleigh Park. 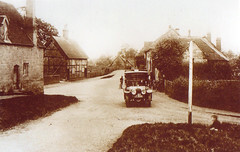 Although the village shop, post office and school are long closed, the community boasts many clubs and organisations; at its heart are the church and the village club, with the village hall and its playing fields providing a centre for a variety of local activities.